Quentin Willson – Motoring Expert, Journalist, Broadcaster and Entertaining Guest Speaker. 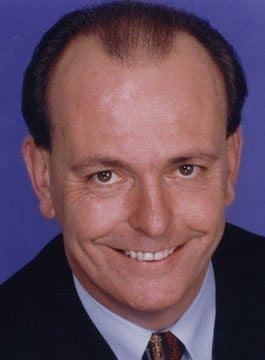 Quentin Willson is best known as a motoring expert and reporter having presented the popular and highly acclaimed television series, Top Gear for nine years, Channel 5’s Fith Gear, and his own classic car series, The Car’s The Star which was nominated by the Royal Television Society for best factual programme in 1997. Quentin Willson was born in 1957 and educated at Leicester University. Having gained an Honours degree in English Literature, Quentin became the deputy editor of both Buying Cars and Car Choice magazines. Quentin also owned his own car dealership for 12 years specialising in fleet motors. Quentin Willson transferred his knowledge and experience of the motor industry into print and is the author of ten books including the BBC publications, Top Gear – The Good Car Guide in both 1993 and 1994, The Ultimate Classic Car Book and Classic American Cars. He has written for a number of magazines and newspapers including, The Times, The Sunday Times, The Telegraph, Daily Express, What Car, BBC Good Homes, Classic & Sportscar, AA Magazine and currently pens a weekly column for The Sunday Mirror. His humorous informative style of presenting mixed with a hit of sarcasm, makes Quentin a very popular choice for hosting conferences and after-dinner speaking.